Kim Coupounas ran a conscious company. GoLite gave money to the community and recycled. Its employees biked to work, served on nonprofit boards and volunteered regularly. 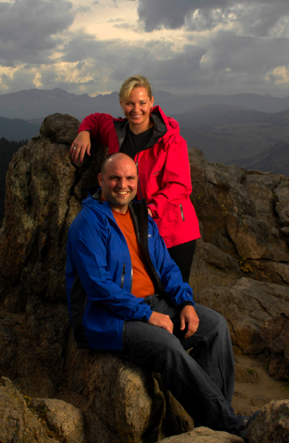 Since founding the company in 1998, Kim and her husband and co-founder Demetri Coupounas built GoLite into a successful maker of light-weight trekking clothing and gear. It was a responsible company with a growing business and a hearty image, but for Kim and Demetri it wasn’t enough. Simply, they felt they weren’t fully delivering on their commitment to run a sustainable company. So Kim read Ray Anderson’s Mid-Course Correction (twice) and brought in an auditor to assess GoLite’s environmental impact. “When we looked at our actual footprint, we realized we were hardly scratching the surface,” she says. This was in 2006. The company gave itself a year to analyze and prepare and set 2008 as its baseline for change. Since then, GoLite has converted 67% of product materials to environmentally preferred materials, eliminated all banned or restricted substances in products and achieved 94% zero-waste through recycling and composting. GoLite will meet its goals of a 30% absolute reduction in green house gas and carbon neutrality by the end of 2010. During this time of reduction and change, GoLite grew its revenues by 40% in 2009 (a pitiful year for the rest of the retail industry) due in large part to these initiatives. Click the player at the top of the post to listen or download it here.